Acetone and various nail polish removers often have a strong smell and can cause side effect on the nail plate and the skin around the nails. 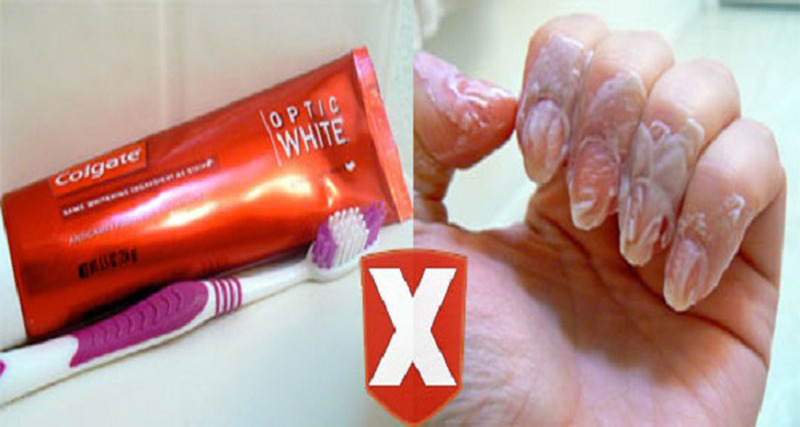 The best solution to remove nail polish and whiten your nails is to use ordinary toothpaste. It is recommended to use it at least twice a day, every day. Put a little toothpaste on the toothbrush. Layer the toothpaste on the nails. Once the toothpaste is all over your nails start scrubbing away. Toothpaste can be a perfect substitute for nail polish remover (acetone) and the results are more than visible!